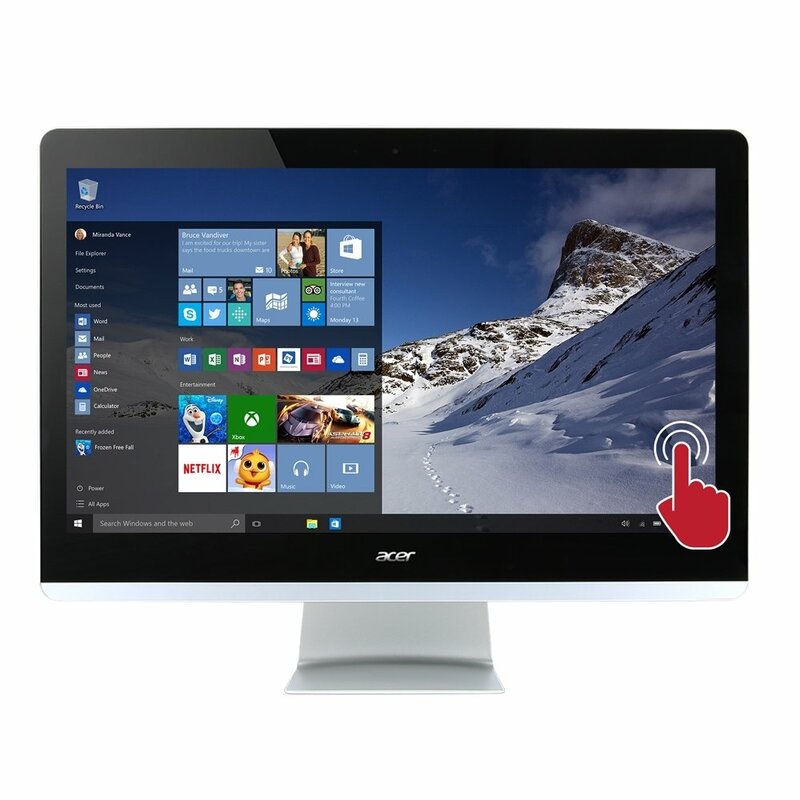 The Acer Aspire AZ3-715-UR11 All-in-One desktop computer delivers cinematic entertainment to the entire family on its Full HD touchscreen featuring IPS technology. Movies and games look and sound great thanks to the 23.8" Full HD screen and Acer TrueHarmony High-Performance Sound System with Dolby Audio. The touch screen brings hands-on fun for the entire family while the slim space-saving design looks as good as it is convenient.